Gold Solar is a local business specialising in solar heating, geysers and plumbing. 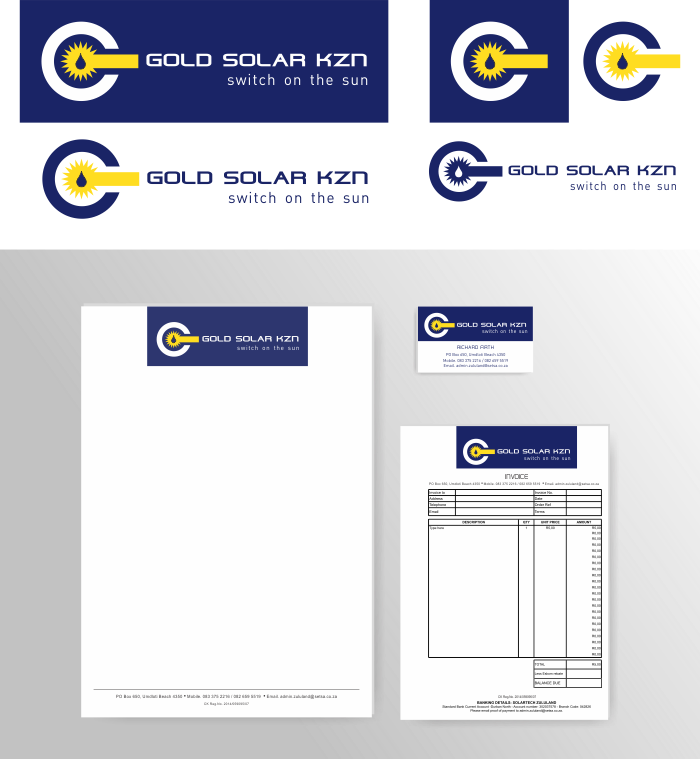 The client wanted a simple logo to represent both the solar and plumbing sides of their business. They liked the idea of a dark blue and bright yellow palette. So we put their requirements and our creativity together and came up with a logo for them, and also some stationery items. Below are the final products.